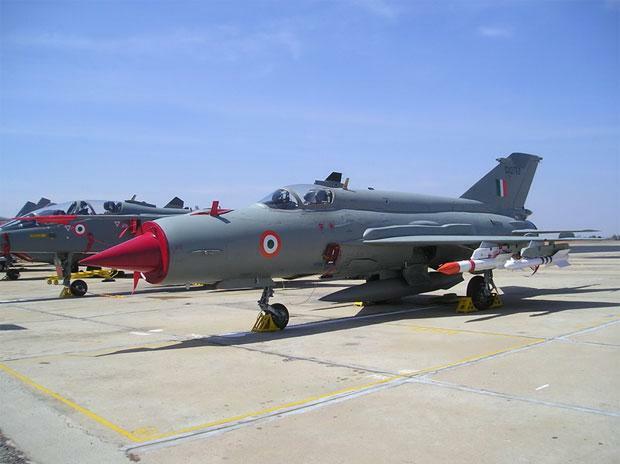 A MiG-21 fighter aircraft of the Indian Air Force (IAF) crashed in Rajasthan's Bikaner district on Friday with the pilot ejecting safely, a defence ministry spokesperson said. The aircraft was on a routine mission and crashed after getting airborne from the Nal airbase near Bikaner. The pilot of the aircraft ejected safely, the spokesperson said. He said that a court of inquiry would investigate the cause of the accident. Bikaner SP Pradeep Mohan Sharma said the MIG aircraft crashed in Shobhasar ki Dhani, 12 km from Bikaner city. He said police teams have rushed the spot to cordon off the area. No loss of life has been reported.